The Berber women weave through movement of their fingers, with no drawings or predefined designs, exactly as the different brush works create a painting. 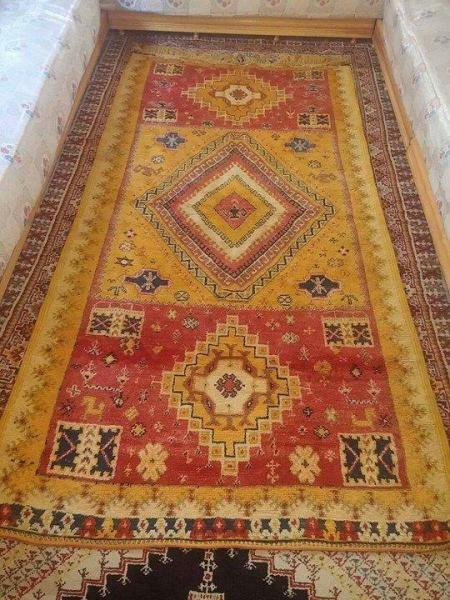 This is how each Taznakht Rug becomes a unique work of art and how the limitless sensitivity of the Berber women can be expressed with no premeditation. The cultural influences of these Berber women can be traced back to the dawn of time; the ever-present diamond motif has existed since Neolithic times. These works reveal traces of thousand-year-old civilizations, revealing signs and symbols of even more distant history.